7742 Still Lakes Drive, Odessa, FL.| MLS# T3156946 | Westchase Real Estate - Westchase FL Homes For Sale - Westchase Local Experts. 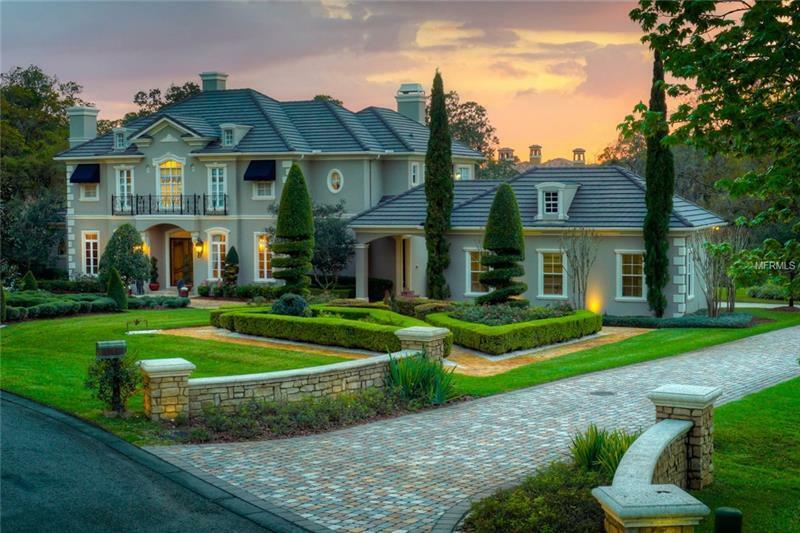 EXQUISITE luxury property...Situated on over an acre in the renowned, private and guard-gated StillWater community, framed by nature & refined landscaping is this truly IMPRESSIVE ESTATE built by the famed CUSTOM builder, The Fechtel Company. SIGNIFICANT IMPROVEMENTS have been made to this property since the owners purchased including nearly doubling the square footage; owners have invested approximately 3.4 million dollars in this property over the years! The brick path entry surrounded by gardens is breathtaking. Passing through the grand foyer, a parlor with Brazilian Cherry hardwood floors and a marble fireplace overlooks the magnificent OUTDOOR LIVING space. Volume ceilings, solid wood doors, and crown molding punctuate the entire first floor, including a wine room, CHEF'S KITCHEN with all stainless steel professional grade appliances, 2.5" granite countertops, and all custom cabinetry. This 7 bedroom, 6.5 bathroom custom home is simply perfect for entertaining. The home's addition is fully appointed with downstairs guest quarters, an unforgettable GREAT ROOM, full wet bar, 35 feet of sliding glass doors to the pool area, a fully equipped FITNESS ROOM & relaxation spa. Outdoor living includes a gourmet kitchen, stainless steel gas grill, a brick oven, refrigerator and a FULL FOOD PREP area. Four fireplaces, three laundry rooms, and impeccably detailed conveniences at every turn! With features and upgrades far too numerous to list, this is a home you simply MUST experience first hand.